Ham hocks come from the bottom of the leg of a pig. These tough cuts do not have a lot of meat on them. Ham hocks are not used in cooking for their meat; they are used to add flavor to dishes requiring a long, slow simmering such as stews, soups and beans. 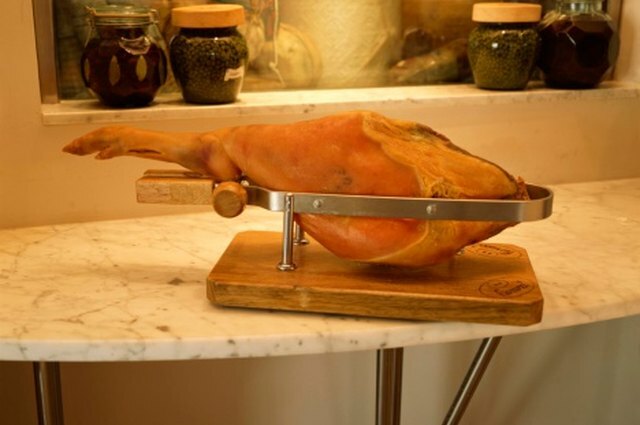 Most ham hocks are smoked and cured and taste very salty. 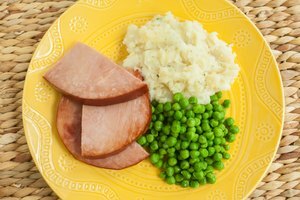 To reduce the salt level and to remove any impurities, a long washing or soaking is needed before using the ham hock in cooking. Vigorously wash the exterior of the ham hocks with a scrub brush to remove any visible dirt. Rinse the ham hock completely after washing. Place the ham hocks into the pot and add water until they are completely submerged. Bring the pot of water and ham hocks to a boil over medium high heat and boil for one minute. Drain the ham hocks in a colander. Rinse the ham hocks in the colander under cold running water for a full minute. Use the ham hocks immediately in any recipe desired. 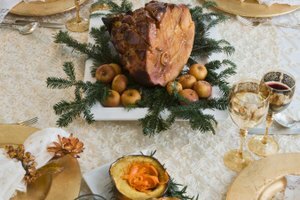 Soak the ham hocks in cold water for 24 hours instead of boiling them, if you prefer. Change the water four to five times during the 24-hour period. This will also ensure the ham hocks are clean. Rinse thoroughly after soaking them and drain the ham hocks using a colander.